The 2017 BMW Z4 Roadster is ready to be revealed this weekend ahead of which the company has launched some teaser images to give enthusiasts a look at what is in store for them. After a lot of technical specs and teasers, BMW has finally stepped into the light to show what they have been building so far and their future idea of how cars should look like. The concept version of the Z4 will be revealed at the 2017 Pebble Beach Concours d’Elegance scheduled to take place this weekend. The automobile brand launched the teaser image a month ago but it was fully camouflaged and had very little to show. The black photograph showed the car’s bold front end and the sharp appearance of the vehicle. However, the latest teaser image released shows the striking orange colored body of the car, the front grille and many of its design elements teasing people to the core. After all, if you are looking forward to the launch of the 2017 BMW Z4 Roadster, it’s hard to not get too excited about these teaser images even though they don’t reveal too much. If sources are to be believed, BMW has planned to reveal the new Z4 in a similar fashion as their popular 8 series models. The car will go head on with Audi TT Roadster and the Mercedes SLC, both of which are direct competitors to the BMW concept model. 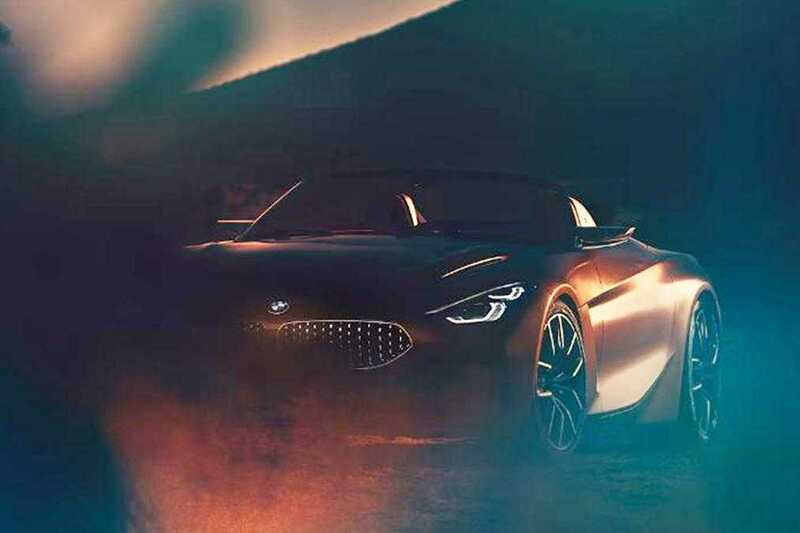 In the new teaser image, it is easy to spot that the Z4 concept model features the popular kidney grille in the front combined with a long row of LED Daytime running lights. It also features alloy wheels and has some unique body cuts making it look very aggressive. However, it is not wise to come to a conclusion as the teaser image is limited and doesn’t show the overall design in well-lit conditions. Based on the previous images, it can be confirmed that the car uses Targe style folding roof and uses a fixed bulkhead on top of it. 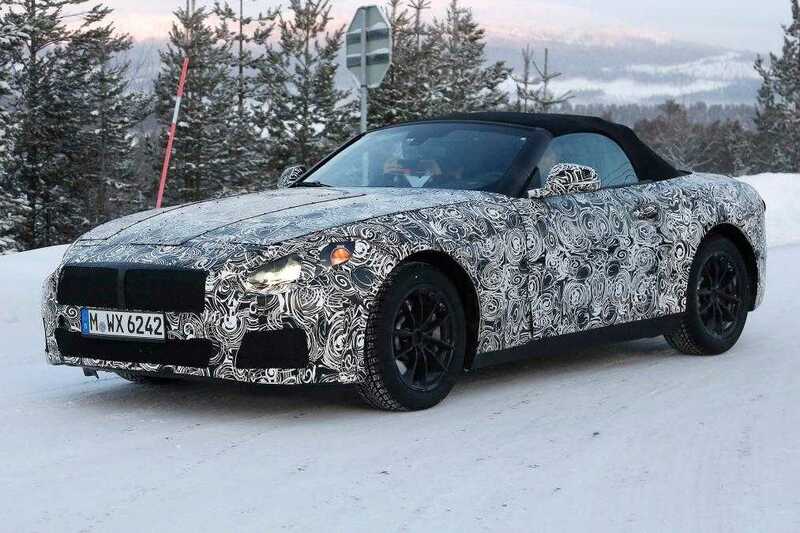 Multiple spy shots of the 2017 BMW Z4 Roadster has emerged which complies with the official teaser images released by the brand. It will be the big replacement for the second generation model that needs a dire refresh so as to keep buyers glued to the BMW brand and not lose them to immediate competitors like the Toyota Supra and the Porsche 718 Boxster.